Wasps, spiders, sunburn, allergies, rattlesnakes, mosquitoes and chiggers are just a few of the challenges you must brave. But if you enjoy a good wing-shoot and the fast-paced action of fishing for crappies, these unpleasantries may be worth tolerating to take advantage of some early season outdoor opportunities on the Eastern Plains. Teal make for a challenging shoot. Doves and teal may be two of the most challenging species to take on the wing, but hit or miss, both species have the ability to heat up a shotgun barrel. Doves and teal kick off Colorado’s fall bird-hunting seasons, with both seasons beginning in September. The mourning dove season opens Sept. 1. Hunters should read the latest waterfowl brochure for teal seasons, as these dates vary from year to year. Teal hunting is about as low maintenance as duck hunting gets. A dozen decoys of any species placed on one of the small potholes or stock ponds near the South Platte is really all you need to have success. Adding a spinning-wing decoy to the mix increases your chance of tricking the decoy-susceptible birds. Teal hunters should also pay close attention to the weather. 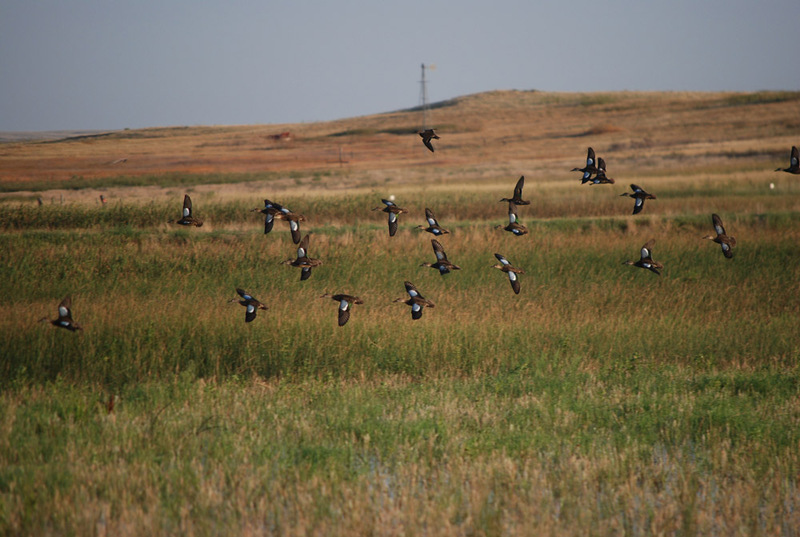 Cold fronts during the season will push teal south, bringing an abundance of the migratory birds into eastern Colorado. And according to U.S. Fish and Wildlife Service estimates, 2013 should be a good year for hunters. For dove hunters, fast-paced hunts usually have three factors in common: a plentiful food source (sunflowers, millet or other grain), nearby roosting sites (dead trees being a favorite) and readily available water sources. Hunters who do some preseason scouting of state wildlife areas or Walk-In Access properties will find several spots where all three of these factors align. 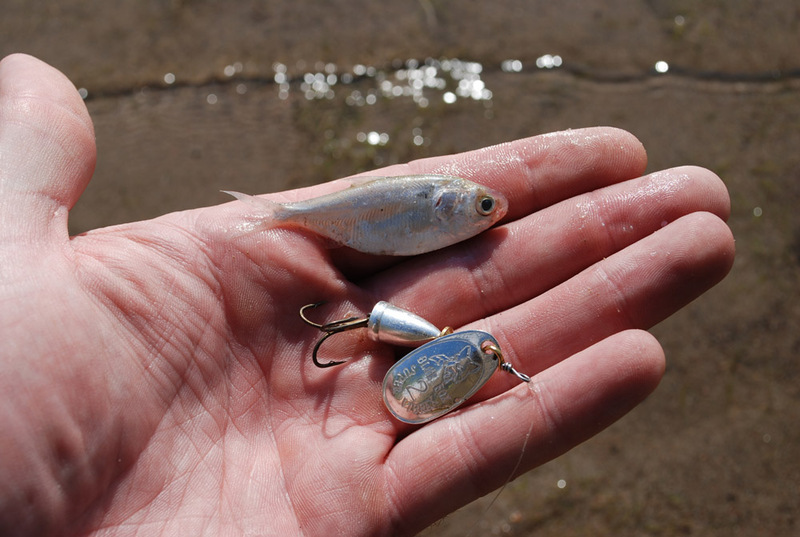 A Blue Fox spinner is a near-perfect shad imitation. Teal and dove action will slow midday, but that doesn’t mean your early season outdoor extravaganza has to be put on hold. Grab a small spinning rod and head to the Jumbo Reservoir Annex. This impoundment not only holds a few teal, but also is home to some nice crappie and smallmouth bass for you to pursue on this “outdoorsman biathlon” of sorts. A belly boat comes in handy on Jumbo Annex. We found that crappie and bass, along with the occasional hefty bluegill, couldn’t resist a silver, Blue Fox Vibrax spinner retrieved slowly, just off the fallen trees and scattered rip rap around the banks. 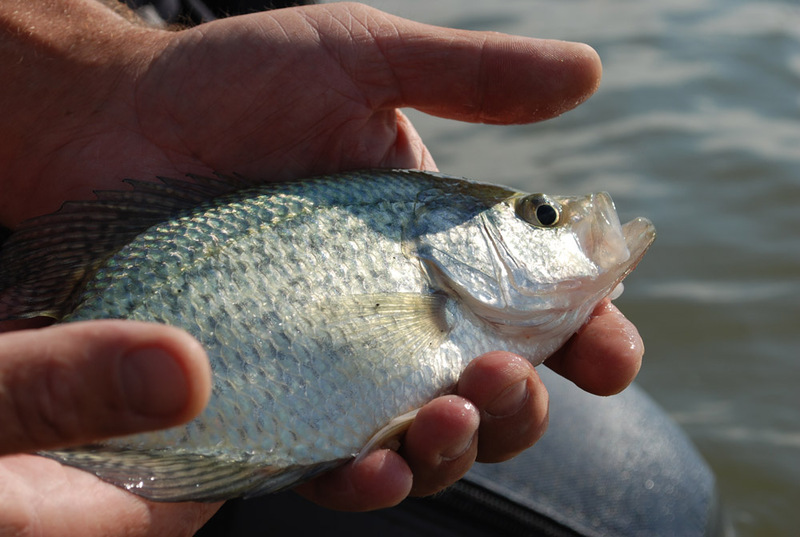 The fish we caught varied in size, but many of the crappie were respectable slabs. 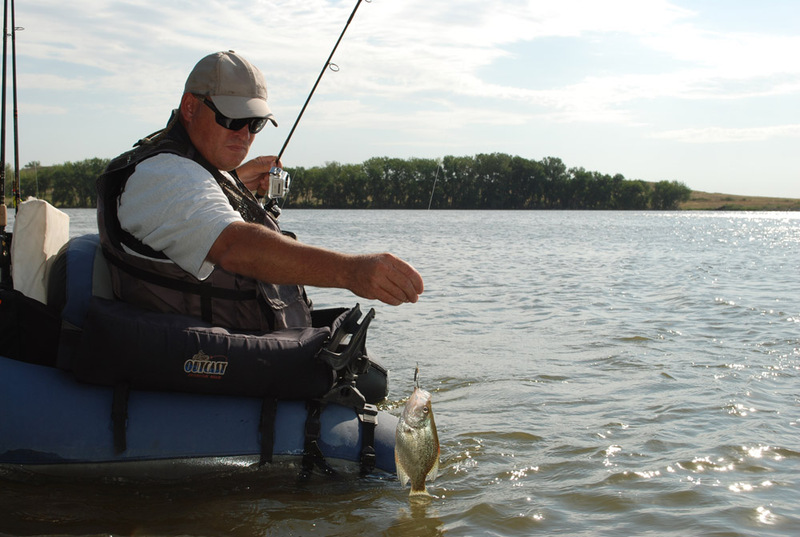 Waders or a float tube will allow you to access some additional water holding fish. The action ebbed and flowed, but this fishing opportunity shouldn’t be overlooked especially as the water cools in September. Bring sunscreen, bug spray, plenty of water and allergy medication. This part of the state can be unpleasant until the first, glorious freeze hits and knocks down some of the unpleasantness. Take rattlesnake precautions, especially with your dog. Walking or letting your dog roam around rock outcroppings or brush piles isn’t a good idea this time of year.